This one is over a year in the making. I know this, because the girl it was meant for turned a year this month. So now it has no home, but at least I've got it finished. 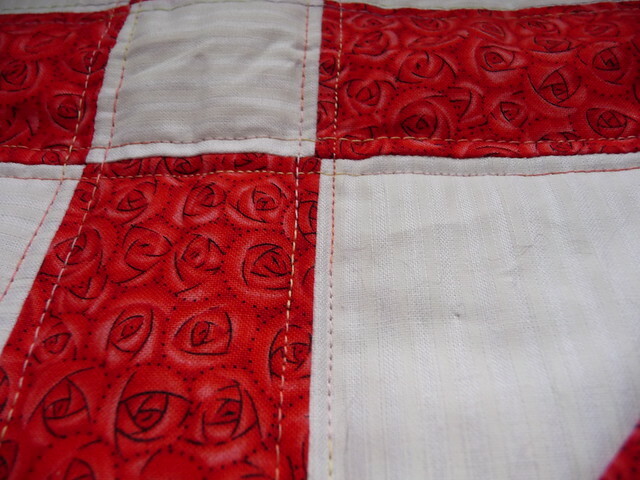 I quilted it in straight lines approximately 1/4" from the seamlines. I eyeballed it, so I know it isn't exact. 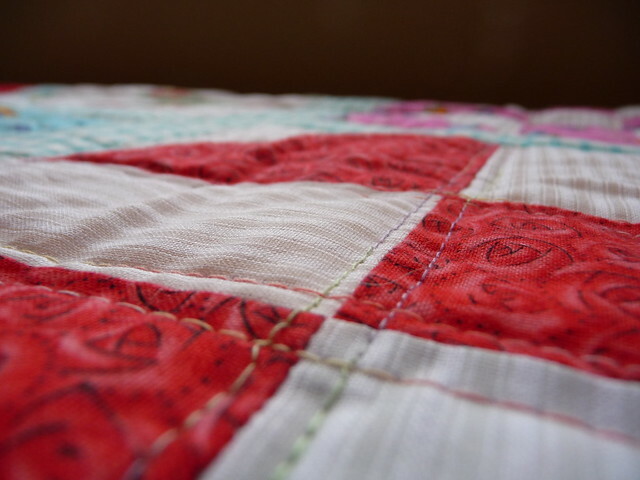 I'd say this is my favorite fabric in the quilt. 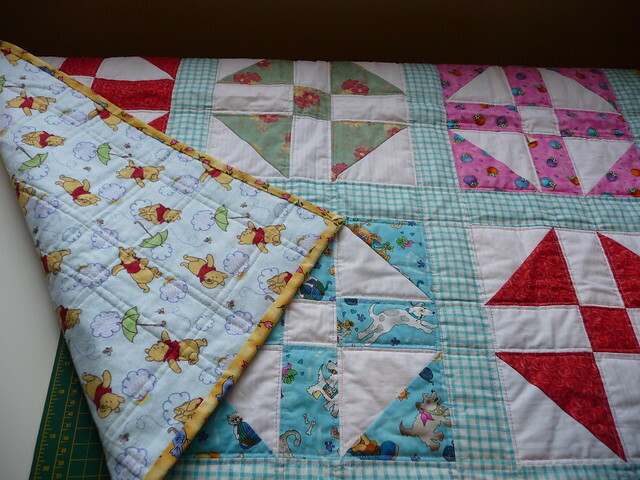 Backed with some Winnie the Pooh flannel. 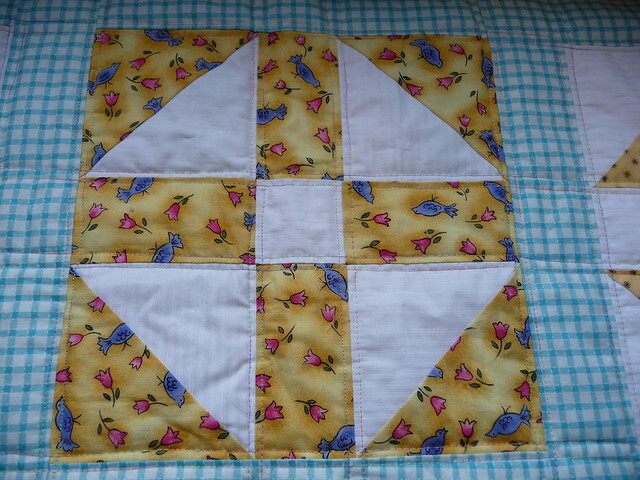 And bound in the fabric used for this block. 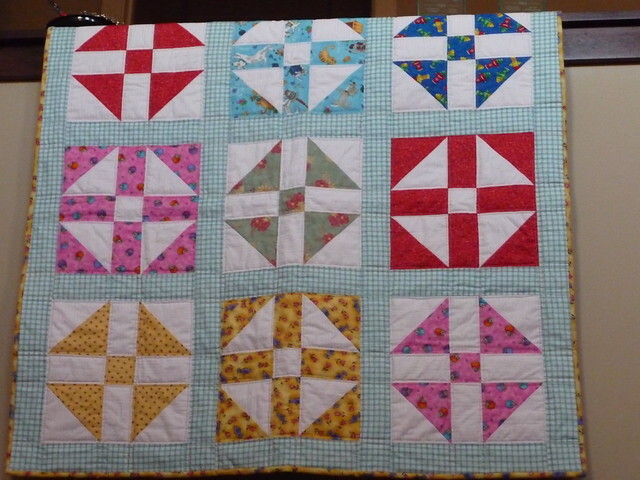 All of the colored fabric in the blocks was part of my existing stash. The white stripe was a remnant from the quilt shop and the sashing I picked up on sale at Fabricland. I'm pretty happy with it as a small stashbuster.